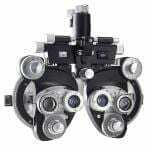 The 7500-I Refractor was the first model to bring illuminated dials into your exam room and is still recognized as the brightest. A marvel of engineering and innovative design, the Burton 7500-I refractor delivers breakthrough precision, unparalleled quality and masterful workmanship. At Burton, we set out not only to bring the ophthalmic industry a truly innovative concept, but to set the industry standard. The Marco RT 300 Refractor features sealed in rear with replaceable plano lens. Fully synchronized cross cylinders, or optional split- image cross cylinders. Anti reflective coating on lenses. Near tests. Bi-loupe turret system. Large, legible high contrast number scales. 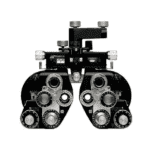 Selection of auxiliary lenses. Conveniently located knobs. Manual refractor. The Marco RT 700 LED Refractor is a distinctive, industry-recognized design combining certified Marco quality with a proven internal Background Illuminator. The manual phoroptor meets the needs of the traditional practice with continuously adjustable illumination for sphere, cylinder, and axis measurement. 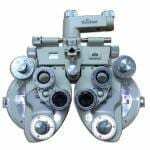 Fully synchronized axis/cross-cylinder, and white prism/cross cylinder scales aid function and visibility. All supported by a standard 5-yr warranty. It’s no wonder that the Reichert 11625 Ultramatic Phoroptor continues to be the industry standard after more than 80 years. Constructed using the finest materials and old-world craftsmanship, every phoroptor has an unmistakable feel of quality. 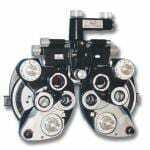 The original and best refracting instrument, the Reichert Ultramatic Phoroptor continues to be the industry standard for more than 90 years, offering world-renown mechanical quality and craftsmanship. 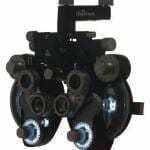 Now get legendary RX Master 11636 Phoroptor operation and construction with lighted dials to make it easier and more efficient to perform refractions in the darkened setting of the exam room. 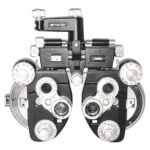 The Reichert Ultramatic RX Master Phoroptor® is acknowledged worldwide as the finest available. It is designed and constructed to provide a lifetime of reliable service and it incorporates refinements that result from Reichert’s nearly 80 years of experience in the refractor business. 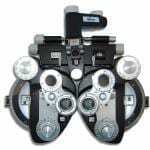 The original and best refracting instrument, the Reichert Ultramatic Phoroptor continues to be the industry standard after more than 90 years, offering world-renown mechanical quality and craftsmanship. 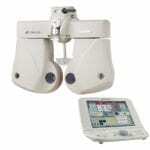 The Topcon VT 10 Refractor provides exceptional quality and value, featuring quick, easy and accurate refractions. 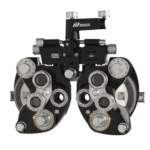 Notable features include synchronized cross cylinders, an extended measurement range, and multi-coated lenses.